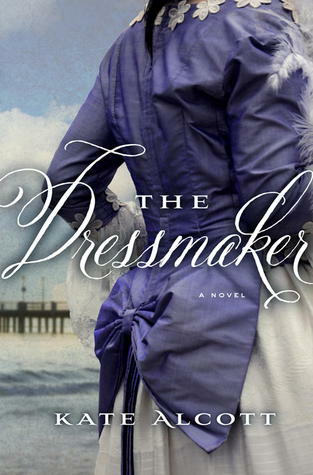 The dressmaker was published just in time for the 100th anniversary of the Titanic sinking. I think that this book stayed true to the spirit of the Titanic and the souls that were lost on it but certain aspects of the book let it down. Tess is an aspiring seamstress who is sick and tired of being in service. After hearing that jobs were available on the Titanic she quickly quits her job and heads to the docks to try her luck. Soon enough she recognises Lady Lucile Duff Gordon, a famous designer and manages to talk herself into a job as a personal maid. It is not the position that she wanted but the opportunity to be near her idol is hard to pass up. While on board she meets Jack a rich older man and Jim a kind sailor. She is attracted to both men but that all changes when the Titanic sinks. This book covers what happens after the sinking and the inquiries and scandals that followed. Only around 40 pages or so is set on the Titanic so don't expect that to be the focus of the book. Tess is soon living her dream but the sinking of the Titanic still haunts and has huge implications on its survivors. I thought that this was an entertaining read. I read it in one sitting. However I thought that the characters were rather flat and unlikable. I never really became attached to anyone in this story. Pinkey the reporter by far outshines the other characters. I thought that Tess was stiff and one-dimensional and I did not care for her love interests. The most interesting sequences were the ones set in the Titanic hearings. I was really interested and enjoyed learning about the aftermath of the sinking. Overall this was a fair novel. Others will enjoy this more than me.